Home / Posts Tagged "Commonwealth War Graves Commission"
History Hub Ulster is honoured to have been invited to participate in the Commonwealth War Graves Commission Living Memory Pilot Project 2015 and has created a short video based on the War Graves and memorials in Belfast City Cemetery as part of this project. The video will be shown at a presentation of the Castleton Lanterns in Alexandra Presbyterian Church, Belfast at 2:00pm on Saturday 14th November 2015. 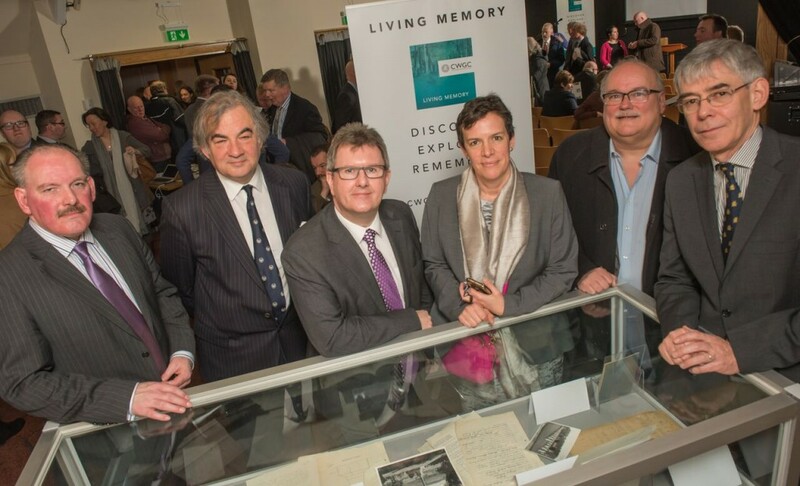 Communities Secretary Greg Clark launched ‘The Living Memory Project’, designed to remind people of the 300,000 war graves and memorials in the UK. Many of these memorials lie in forgotten corners of graveyards; the Living Memory initiative is designed to aid their rediscovery. 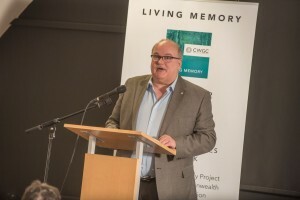 The Living Memory Project, part-funded by the Government, is working with the Commonwealth War Graves Commission (CWGC) and thirty-six local groups around the country to create remembrance events at local war memorials. The initiative will continue long after this fortnight of activity, with all communities urged to remember these hidden war heroes annually – creating a thread of memory and shared history long into the future. CWGC Director of External Relations, Colin Kerr, said: “The Commonwealth War Graves Commission’s work overseas is well known, but here in the United Kingdom there is little awareness of the graves to be found in a staggering 13,000 locations, that commemorate over 300,000 Commonwealth dead of the two world wars. The project has been devised in partnership with community engagement specialists, Big Ideas Company www.bigideascompany.org.